Lisa Condit spoke with Ty Rood, who plays Cap’n Turbot in “Paw Patrol Live! 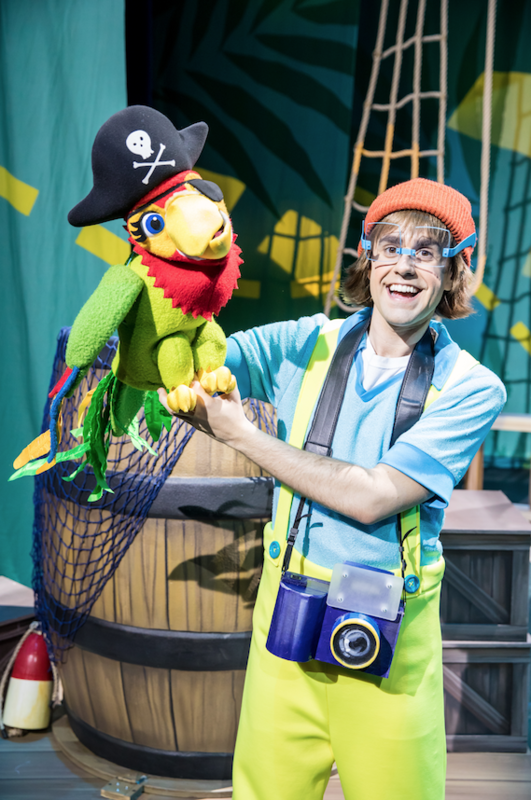 The Great Pirate Adventure,” coming to The Hanover Theatre for the Performing Arts on April 25. Read on for highlights from the WCRN 830 AM interview. 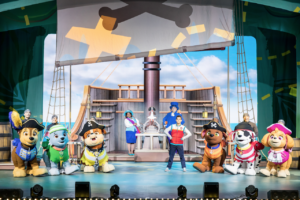 Lisa: “Paw Patrol Live” has become a complete family favorite. You have brought other tours here before. What can we look forward to in “The Great Pirate Adventure”? 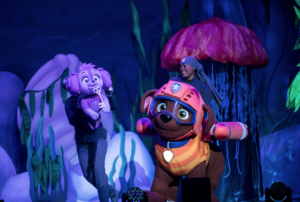 Ty: We had “Race to the Rescue,” which brought so much joy to kids and families coming to see the show that they decided to do another episode and they made it bigger, with more music and more dance numbers. It incorporates everyone! 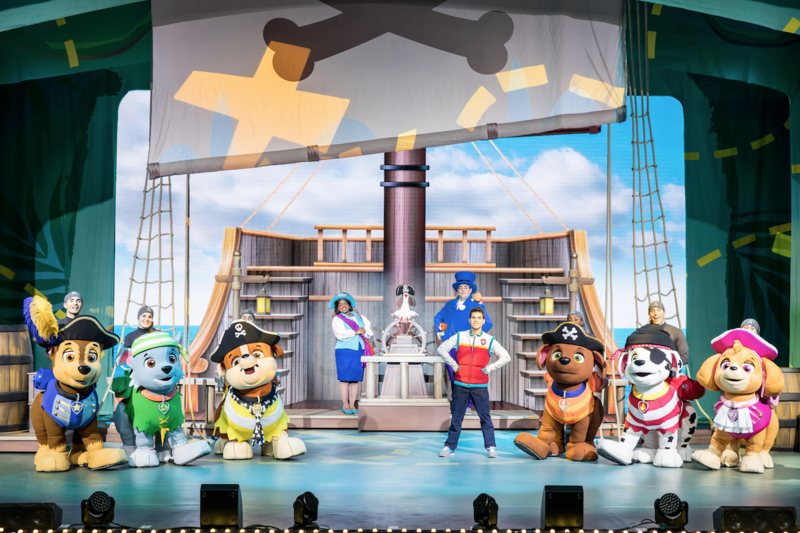 Children and parents are dancing and the whole show revolves around finding the treasure from a treasure map that they found. You follow the pups and their journey. It brings in pirates. Everyone loves a pirate party! Lisa: I love the slogan “no job is too big and no pirate pup is too small.” It’s such a great message. Ty: It’s about owning who you are and taking care of each other and being brave in the face of fearful things. It teaches the kids to care for one another, to be brave when scary things happen. The pups are all for one and one for all. It really is fun. Lisa: Everything about these shows is catchy. The way you describe it, the words you use, the dancing, costumes… everything is bright. It is a general feel-good show, regardless of how old you are. Ty: The kids really know the shows better than anybody. They do a really good job of bringing this cartoon to life. We have a huge LED screen that incorporated the cartoon aspect of it. And the costumes are amazing. It’s like seeing these pups in real life. 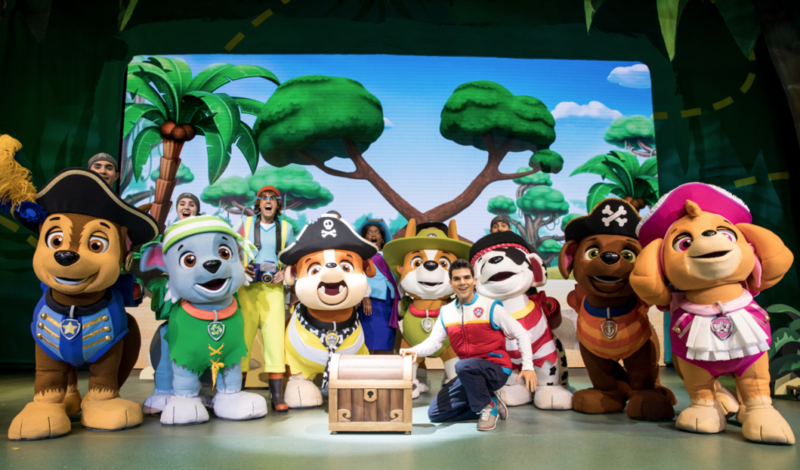 There is the Paw Patrol theme and also new music, and it’s all a huge party. And it ends with a bang. All the messages are there for the kids. Everyone’s having fun and that’s what we’re going for. Lisa: I am a mom, and my daughter is 19. I remember bringing my daughter from a very young age, and we always wonder, is my child too young to go to a performance. This show is a great entry level to be able to share live entertainment. Nothing replaces live singing and dancing and feeling engaged with the characters. I remember singing and dancing with my child in the TV room as her favorite shows were on, but being able to put that to life is magical and it helps to engage children. Ty: We want the kids to be able to be themselves. It’s so interactive. They are helping with the clues on the treasure map. Everyone gets a white pirate flag, and they help and are incorporated into the show. It’s amazing to see the kids and their families smiling. Lisa: You’re going to have fun and nobody will be yelling at you to stay in your seats. It is geared to the pre-school age. Ty: We encourage them to get up and dance and have fun and enjoy themselves!